Are your cows seasonal workers? Cows have an underlying biological clock that is likely impacting milk, milkfat, and protein production. 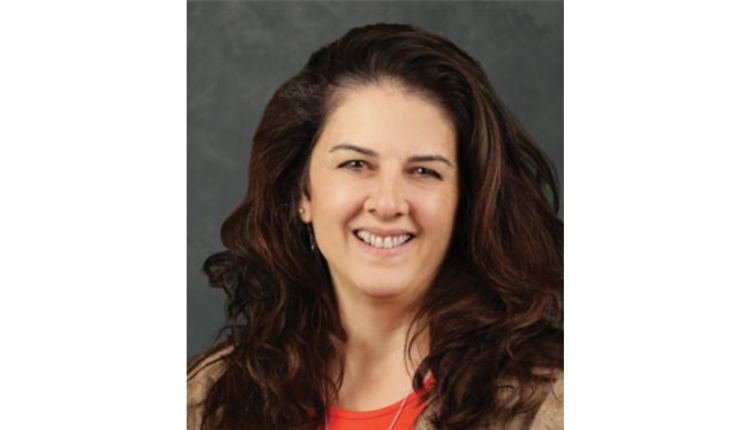 The author is a graduate assistant at Pennsylvania State University working with Kevin Harvatine. 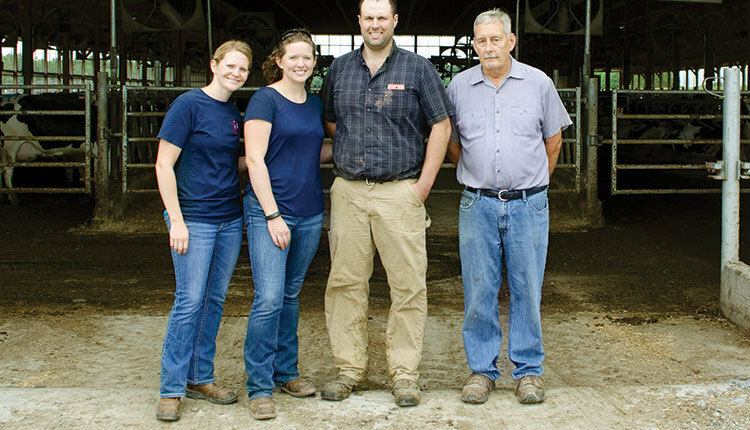 Summer may seem a long ways away, but dairy farmers are likely still poignantly aware of the negative impacts of hot weather on milk yield and components. Cooling strategies, such as fans and sprinklers, are crucial to reduce heat stress and nutritionists may reformulate rations to try to make up for lost production. Despite our best efforts, the declines in milk and milk components during the summer seem inevitable. Recent work suggests an inherent annual rhythm may be to blame rather than heat stress alone. Seasonal changes in milk production are well recognized by most dairy producers, but they have not been well characterized. We recently had interest in the seasonal changes in production and analyzed data from multiple databases. We first analyzed monthly fat and protein concentration in each federal milk marketing order over the past 17 years. We used a cosine analysis that allowed us to fit a repeating cycle across the years. In doing so, we found an almost perfect 12-month rhythm to milkfat and protein concentration that peaks in January and is lowest in July (see figure). The change over the year was 0.3 percentage points of milkfat and 0.16 percentage points of milk protein. 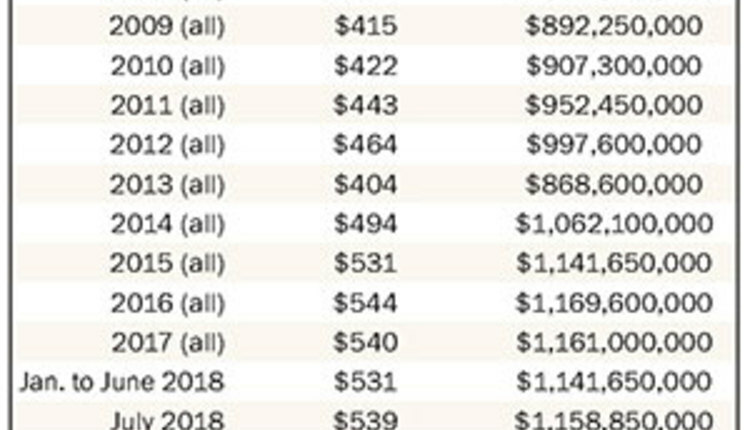 To put this in perspective, you should expect to see a change from a 3.9 percent milkfat in January to a 3.6 percent milkfat in July. The consistency from year to year and the smooth change over the year indicated that this is likely not simply an effect of heat stress, but rather it is probably a true annual rhythm. If this was driven by heat stress, we would expect a sharp drop during the summer and differences between southern and northern milk markets. Next, we wanted to know if milk yield and milkfat and protein yield also followed a seasonal rhythm, so we used two databases of Dairy Herd Information Association (DHIA) records. One database contained records from over 60,000 individual cows from 11 herds in Pennsylvania, which was shared with us by Chad Dechow (Penn State). The other included test-day averages from all herds in Florida, Minnesota, Pennsylvania, and Texas, which was obtained from Dairy Records Management Systems. Interestingly, there was a clear annual rhythm of milk yield that was highest in April and lowest in October. 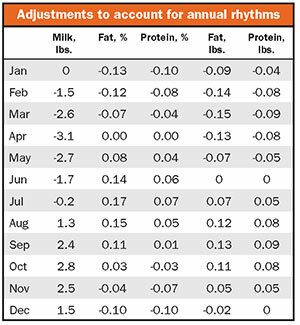 This provides additional support for the idea of an inherent rhythm because if changes were due to a direct effect of heat stress alone, we would expect the lowest milk production in July and August. Milk yield varied by about 8 pounds across the year in Pennsylvania and Minnesota, and by nearly 15 pounds in Florida and Texas. Importantly, fat and protein yield, which are the true drivers of milk checks in most regions, were greatest in late February and lowest in late August. In Pennsylvania and Minnesota, the seasonal rhythm was 0.25 pounds of milkfat and 0.17 pounds of milk protein per day across the year. The variation was even greater in Texas and Florida. In those states, milkfat varied by over a half a pound and protein varied by over 0.4 pound. Looking within herds, the annual rhythm was rather consistent between cows and a similar annual rhythm occurred for cows in their first lactation, second, and subsequent lactations. There was also no effect of the main marker for genetic potential for milkfat concentration and yield (DGAT1 genotype). It is difficult to separate seasonal changes from heat stress, but within the datasets, milk yield and composition were better explained by the day of the year (annual rhythm) than maximum daily temperature. The effect of heat stress has been directly tested at universities using heat chambers that mimic extreme heat indexes. Those well-controlled experiments consistently observe a reduction in milk yield and higher milkfat concentrations. Of course, heat stress is a big problem that has negative consequences on production, but we expect the negative effects of heat stress to occur in addition to the annual rhythm of production. There are many incredible examples of annual rhythms that exist in nature. For example, migrating birds know when to fly north in the spring and south in the fall. Many mammals in Northern climates also use annual rhythms to predict the onset of winter and to signal when to go into hibernation. An example that is more relevant to livestock production is the seasonality of breeding in some sheep, where estrus only occurs in the fall, resulting in lambing only in the spring. The question becomes, how do animals know what time of the year it is? One of the primary ways is through detecting lengthening and shortening daylight. Specialized regions of the brain interpret these signals, resulting in changes that prepare the animal for the upcoming season. Interestingly, the brain can remember these annual cycles and continue to follow annual rhythms, even when placed in constant light or darkness and constant temperature. There are obvious advantages for animals predicting seasonal environmental changes. Just as we might put snow tires on our cars before winter comes, it is beneficial for animals to prepare for the upcoming seasons to avoid potential problems. Reproduction is commonly impacted by annual rhythms, probably because certain times of the year are most favorable for survival of a newborn. As a component of reproduction, it makes sense that lactation would be influenced by annual rhythms. The reason why fat and protein percentages are greatest in the middle of winter may be because this provides more energy dense milk to calves that need it during cold temperatures, similar to the recommendation for winter milk replacer. It is interesting that we have not eliminated annual rhythms through selective breeding for improved milk production over an entire lactation. These rhythms are probably also important to the cow in other ways and appear quite persistent. Right now, we do not know how to manage out of seasonal rhythms. However, we do recommend focusing on providing 16 hours of light and 8 hours of darkness everyday, which has been shown to consistently raise milk, milkfat, and protein yield. 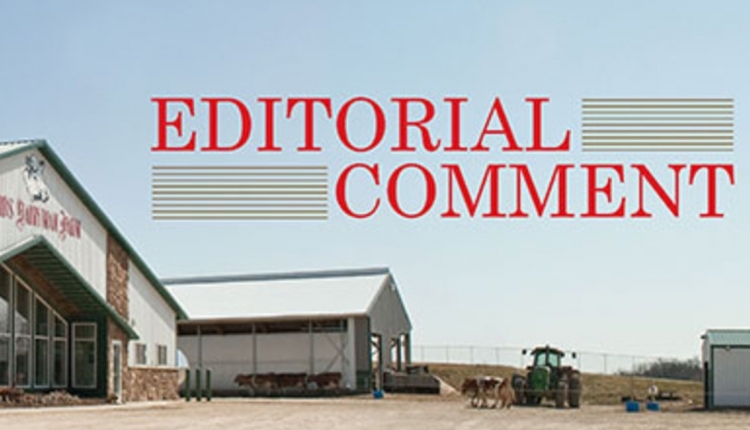 For now, producers and nutritionists should adjust expectations across the year for more precise evaluations of herd performance. To help farmers account for the annual rhythm, we have used parameters derived from the data analysis to calculate adjustment factors. These remove the effect of the annual rhythm to compare production across the year within a herd (see table). By normalizing production for the annual rhythm and being conscious of yearly change in production, farmers can more accurately determine if they are reaching the potential of their herd.